How does a CRT monitor produces image on the screen? A CRT monitor has an electron guns at its back. The gun fires an electron beams at once through a magnetic coil that aims the beams to the screen. The screen is coated with a chemical called phosphors that glow when struck by electron beams. 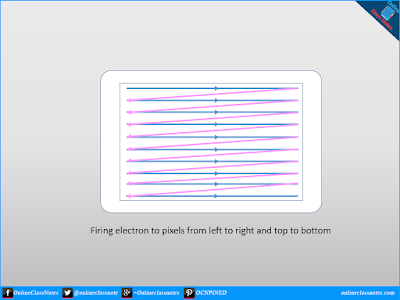 This phosphor coating is organized into grid of dots where smallest number of dots that can be focused by the magnetic coil at once is called pixel. 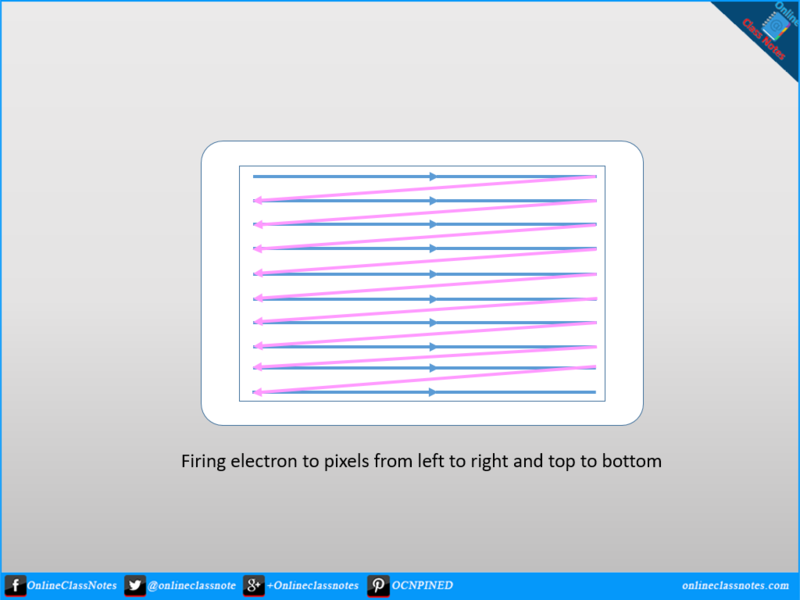 The electron gun start shooting electron beams from the top-left corner and continue shooting until it reaches the end the of the row. Then the guns start shooting from the first pixel on the second row from top and continue shooting until it reaches the end of the second row of pixel. This process continues for all pixels. Then this process continues again and again.